oday a new rebate is available from the maker of the popular Crizal, Transitions, Varilux and Xperio UV brands of ophthalmic lens products. You may have seen the commercials on TV promoting these lenses. From now until the end of September, you can get a $10 rebate for each of three brands – Crizal, Transitions, and Varilux that you get on your primary eyewear for a total of $30. When you add Xperio UV Polarized lenses to your second pair, the rebates triple, enabling you to get up to $90 when you purchase all the products. The polarized pair must be on the same receipt as the first pair. Crizal lenses are non-glare lenses that stay cleaner longer because they include layers that resist scratches, smudges and dust. The lenses look great because they eliminate unsightly reflections on the surface of the lenses. Best of all, you will see great because Crizal lenses increase the clarity of lenses, especially at night, by reducing glare and reflections. Crizal’s unique UV protection keeps your eyes safe from harmful UV rays. Crizal Prevencia is targeted at filtering bad blue light and letting in good blue. Crizal Sapphire is a different tone of non-glare that many users prefer. Transitions is a popular upgrade because it is a tint that adjust to your lighting conditions, In the sun, Transitions keep you comfortable because it becomes a nice tint to knock out harsh sun light. Indoors Transitions lightens to a clear lens. Transitions is also available in Xtractive for people who spend a lot of time outdoors and Vantage lenses that add a Polarized filter to the changeable tint and knock out glare. 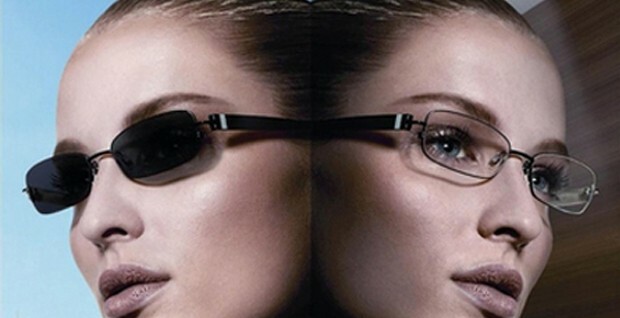 Varilux lenses are no-line bifocals that give you expansive vision for presbyopes. As the eyes age, the lens in the eye becomes less flexible, leading to trouble focusing up close, especially in low lighting. Varilux was one of the first lenses offered in North America to provide clear, continuous vision up close, far away, and every distance in between. Varilux lenses reduce eye and neck strain because they provide vision at all distances without switching between near and distance vision glasses. Xperio UV is a Polarized lens that makes your eyes more comfortable in the sun by blocking harsh glare from the sun. As an added bonus, the lenses keep your eyes healthy by blocking harmful UV rays. All four of the products are popular upgrades and now until the end of September you can get a little money back on them, even if you use insurance.